Lapland holds its own when it comes to turnover. 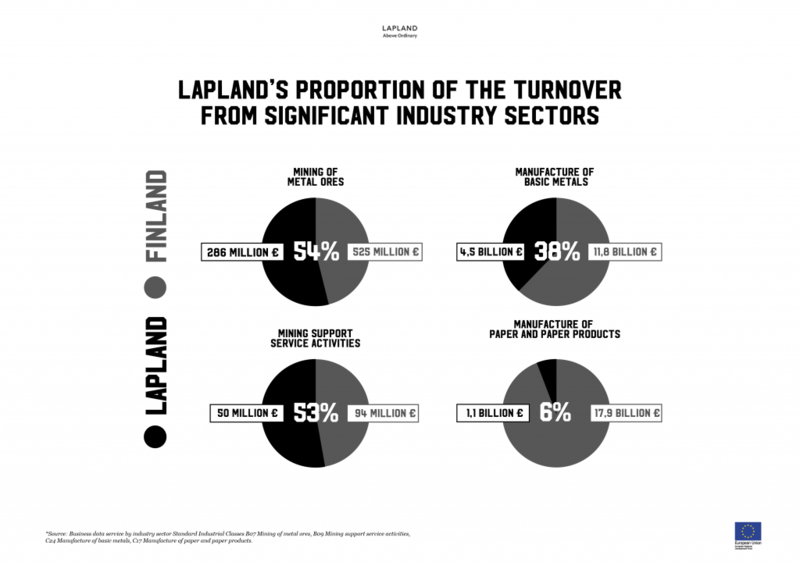 As you can see in the infographic below, Lapland’s proportion of turnover in the mining and support industries represent more than half and is measured in billions of euros in manufacturing. View a full-sized version Lapland’s Proportion of Turnover from Significant Industry Sectors of the infograph here.